A tankless water heater can save you a lot of money in energy bills in Dallas County, Colling, Denton, Kaufman, Rockwall, Texas. This unit heats water on demand. That is when you turn on the shower, faucet in your kitchen or bathroom. If you have this type of heater installed you will no longer bear the cost of keeping 40 to 50 gallons of water hot all the time even when you don’t need it. In case you desire to have a solar water heater, you will achieve some savings in your electric or gas bill. Some people have suggested you could reduce the cost of heating water by half depending on the type of weather you have. This type of heater is also good for the planet because of reduced pollution. An electric water heater is convenient and cleaner to use than a gas heater. Common problems include damaged heating elements, thermostat failure, pressure relief valves, leaking and drain valve. These issues could lead to too little or no hot water. Our plumbers will solve each of these repairs effectively and restore the proper functioning of your heater. Temperature pressure relief valve, which also goes by the name T&R or TPR, is one of the parts that leaks often. We will replace this valve in order to fix a leak. Another problematic area where water can spill is the tank’s inlet or outlet. To repair this problem we will replace the corroded galvanized pipe. Do you have any issues with your gas water heater? If you do, we will help repair them quickly. 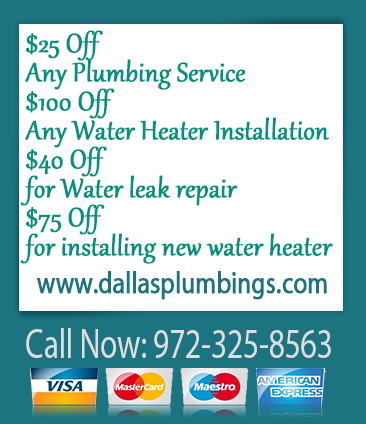 We are a local company that provides advanced plumbing services in the Dallas area. 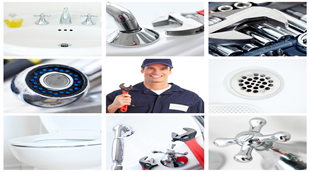 You can depend on us to provide you with the fastest repairs for your hot water heaters. We are available 24 hours a day, 7 days a week. Call us today to assist you.